A portrait of the The Pennine Way, Britain's oldest and best known long-distance footpath, stretching 268 miles from the Peak District to the Scottish Borders. This personal, thoughtful and often humorous story of the path's remarkable history, includes the experiences of walkers and local characters on this exhilarating and complex path. This book presents a portrait of the Pennine Way, Britain's oldest and best known long-distance footpath, tracing its remarkable history through the experiences of walkers past and present. 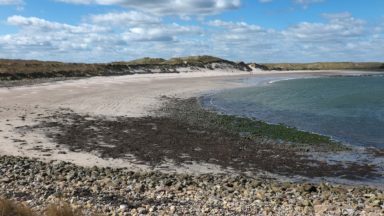 As Andrew McCloy walks the 268-mile route from the Derbyshire Peak District to the Scottish borders, he discovers how the Pennine Way set a benchmark for personal challenge and adventure and how reconnecting with wild places and the unhurried rhythm of the long walk continue to provide a much-needed antidote to our busy modern age. The resilience of the long distance walker is mirrored in the path's fascinating history: the initial struggle for access, battles to tame the bogs, later challenges of path erosion and the fluctuating circumstances of the rural hostel. Above all else however this is a book about Pennine Way people – from crusading ramblers to resourceful B&B landladies, hard working rangers to fanatical trail walkers. 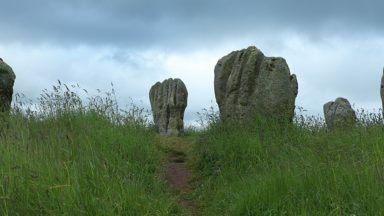 Their conversations and memories are woven into the narrative to give an account of the changing fortunes of the path and its special significance. Personal, thoughtful and often humorous, The Pennine Way - the Path, the People, the Journey is an exploration of our desire for challenge and adventure, the stimulation of wild places and how a long journey on foot through our own country still resonates today. It will appeal to people who have walked or are preparing to walk the Pennine Way, as well as to those with an interest in the history and legacy of this iconic path. "An extremely well-written page turner and, for me, a 'must read' recommendation." Where else would you find a book that devotes 39 lines to the process of purchasing one banana from a market stall in Hawes and the consternation that this caused when fitting it into a bright yellow banana holder? How on earth did eight portions of fish and chips and 33 cups of tea cost only £1.50 when a group of four needed an excuse to shelter from persistent rain? 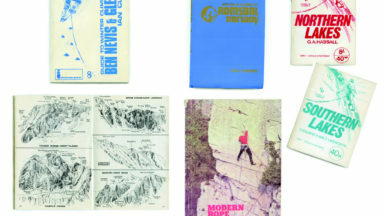 These snippets, and many like them, add colour and authenticity to Andrew McCloy's new book, which provides a very readable insight into the 50 year history of the Pennine Way - Britain's first designated long-distance footpath. Crammed with information and anecdotes, [this book is] well illustrated and highly recommended." To celebrate the 50th anniversary of the opening of the Pennine Way, Andrew McCloy, former information officer for the Ramblers Association and now working for the Peak District National Park Authority, decided to walk this, the oldest and best known of our long-distance footpaths. As he walked the path from Edale to Kirk Yetholm he met record-breaking walkers, resourceful and sometimes eccentric B&B landladies, and hardworking rangers to find out what the path has meant to them. In the book he recounts how traditional pathbuilding techniques are taming the notorious bogs of the Southern Pennines, where changes to the early guidebooks have taken place, and what singles out this exhilarating yet complex path from every other trail in Britain. This is not a step-by-step guide, although it does cover all 268 miles from Edale to Kirk Yetholm. What it gives the reader is much more than this. It tells much of the creation of the Pennine Way including how ramblers fought [quite literally at times] for access to the high places of the Peak District, the development of the trail over the last fifty years, the changes in the route and how communities along the trail have embraced the walk by providing accommodation, sustenance and friendship for the walkers passing through their towns and villages. It is a fascinating book, punctuated with fifty colour or sepia photographs showing current views along the route plus also events from the history of the walk over the last fifty years. Outdoor writer Andrew McCloy new book’s The Pennine Way – the Path, the People, the Journey is neither a conventional walking guide – there are plenty of those about the Pennine Way - nor just a description of a walk along Britain’s first and most famous long distance footpath and National Trail. It is a fascinating exploration of the Pennine Way from many different perspectives, its culture, politics and history, the contributions of so many organisations and individuals, none more significant than that of its original inspirer and creator, the great Tom Stephenson, but also including Kenneth Oldham, Alfred Wainwright and countless others. Among many delightful accounts is one by the Yorkshire Dales Society’s own former President, the late Ken Willson, taken from an article Ken wrote in the Pennine Way Council newsletter of 1979, describing a Holiday Fellowship trip in 1949 for which the only guidance was a set of One Inch Maps and a list of places where accommodation had been pre-booked. 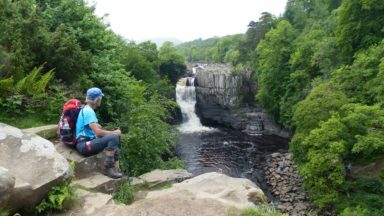 For Andrew, as for others, walking the Pennine Way was also a personal odyssey, a physical mental and challenge, with hardships, and moments of exhilaration, beauty and bleakness over 268 challenging miles. Anecdotes in abundance reveal the warmth, humour and humanity of the people he meets along the route or with whom he stays. Beautifully written and illustrated, this is a great book to read and dip into, a rich compendium for anyone who loves and cares for our northern hills. A wonderful testimony to the breathtaking challenge of walking the Pennine Way. 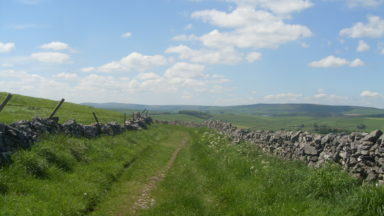 The Pennine Way long distance walk is a monumental undertaking for anyone, no matter how fit. Andrew McCloy is one of those people who has met the challenge and had enough breath along the way to record the route and the folk he met. So his beautifully conceived book is not just a description of one man's challenge to walk the 268 miles of England's wild north country but also a tale of his fellow trail walkers, the hardworking rangers and resourceful B&B owners whose personalities, conversations and memories are as engaging as the path itself. 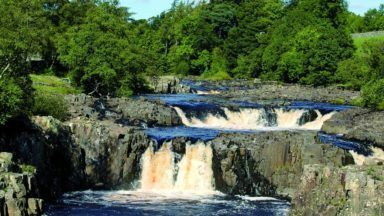 The Pennine Way is Britain's oldest and best-known long distance footpath brought to life through the memories of some of those whose lives it has touched. The book is a personal, thoughtful and often humorous account and will appeal to people who have walked or are preparing to walk the Pennine Way, as well as to those with an interest in the history and legacy of this iconic path. This is the story of a journey, following the author as he walks the National Trail in its 50th year from Edale in the Peak District to Kirk Yetholm in the Scottish borders. He crosses upland and moor, reconnecting with the wild places and the unhurried rhythm of the long walk. This is the story of the path itself, tracing the history of the Pennine Way from its conception in the 1930s to its official opening in 1965 and on through its heyday in the 1970s and 1980s to present times. Enduring changing times and fluctuating fortunes, this ground-breaking path embodies the long struggle for public access to our wild spaces and the desire for adventure. But above all this is the story of Pennine Way people including of course, some whose names will be forever linked with the trail - its creator, the crusading rambler, Tom Stephenson, and Alfred Wainwright, author of the first Pennine Way guidebook. As he walks the path, McCloy shares the experiences of those who have found challenge, adventure and inspiration along the Pennine Way, discovering what the path means to them. The book interweaves these stories to present a fascinating insight into our enduring relationship with a simple path and to find out just what it is that makes the Pennine Way unique. 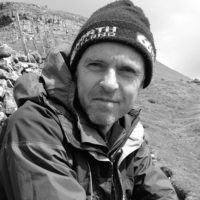 McCloy has a passion for walking, and as a writer and journalist he has written or contributed to over 20 outdoor titles. An experienced long distance walker, he wrote the first ever guide to walking from Land's End to John o'Groats. An original and engaging new work that takes a timely look at the history of this venerable national trail - from early access campaigns through its bog-trotting heyday of the 1970s. right up to the modern day. Numerous Ramblers feature prominently in the story, reminding us that the Ramblers has led the way in fighting for walkers' rights something it continues to do today. I just wanted to let you know how much I enjoyed reading your new book "The Pennine Way - the Path, the People, the Journey." I wasn't sure at first whether another book about the Pennine Way would add much, but the idea of describing your own walk as a way to introduce all the historical detail and how the path has shaped many of the people who have walked it, worked on it, run bed and breakfasts etc. actually works really well. I've never walked the whole route myself in one go - the longest continuous section being from Hebden Bridge to Housesteads, but I have walked much of it many times (I live in Yorkshire so it's handy). I really found your description of the walk very evocative and recognised many of the same feelings along the various sections you describe. I've read many books about the Pennine Way (though not all the 50 or so that exist) and I think this book does a great job of bringing everything bang up to date with the 50th anniversary. The historical detail, interviews etc are really fascinating. There's much in there that's new to me. My wife Chris and me even get a mention! Well done mate and thanks for the enjoyment. Andrew McCloy has a passion for walking, and as a writer and journalist he has written or contributed to over 20 outdoor titles. An experienced long distance walker, he wrote the first ever guide to walking from Land's End to John o'Groats. He is a member of the Outdoor Writers and Photographers Guild, contributes to a variety of magazines and newspapers and is also a freelance access and recreation consultant.